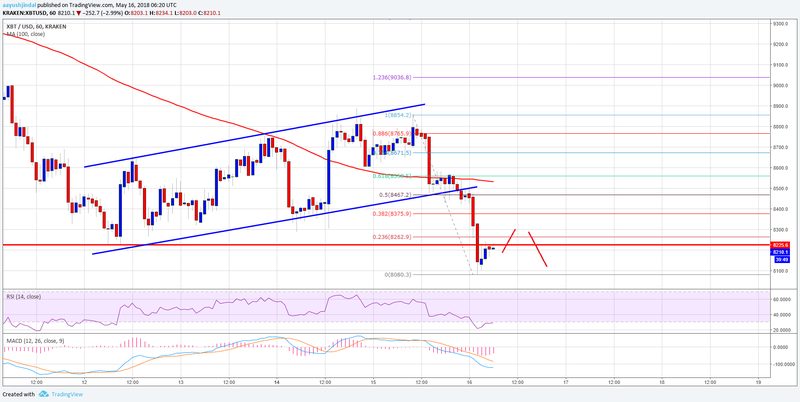 Bitcoin price failed to capitalize above $8,800 level and declined sharply against the US Dollar. BTC/USD broke this week’s ascending channel with support at $8,500 on the hourly chart (data feed from Kraken). The pair settled below a key support at $8,400 and the 100 hourly simple moving average. Bitcoin price made a sharp U-turn from $8,800 against the US Dollar. BTC/USD is now trading well below $8,500 with a few bearish signs. 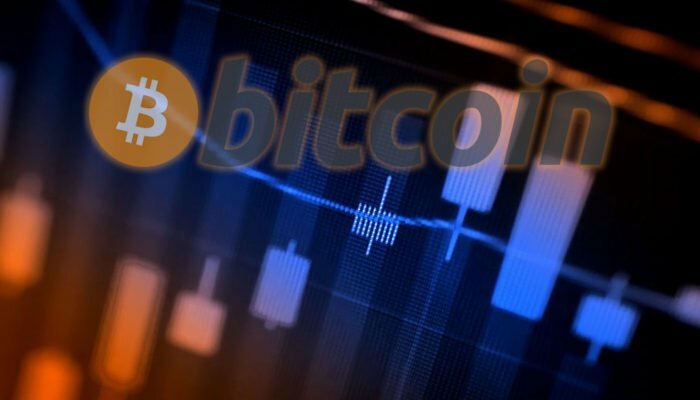 The past two days were mostly positive for bitcoin price above the $8,600 support against the US Dollar. However, the price failed to move above the $8,800 resistance area. Buyers struggled to place the price above $8,800, which resulted in a downside move. The price declined sharply and broke a couple of support levels such as $8,700, $8,600 and $8,400. The decline was substantial as the price settled below a key support at $8,400 and the 100 hourly simple moving average. During the decline, BTC/USD broke this week’s ascending channel with support at $8,500 on the hourly chart. The pair traded close to the $8,000 support level and a low was formed at $8,080. 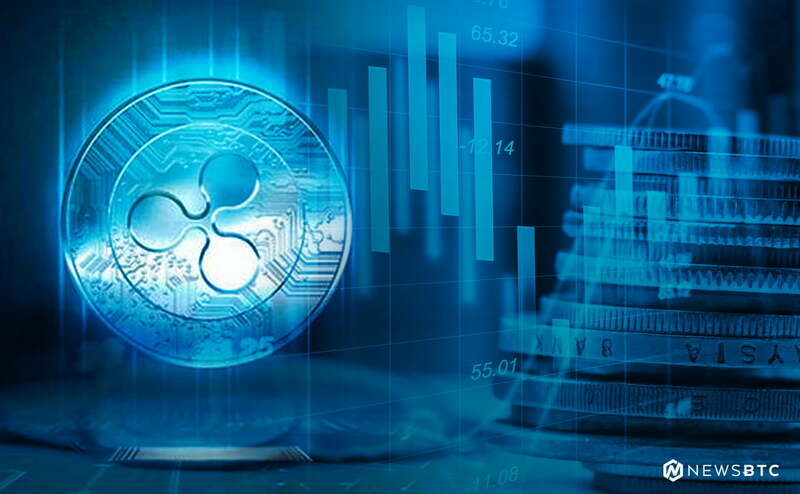 At the moment, the price is consolidating above $8,000s, with an initial resistance around the 23.6% Fib retracement level of the last decline from the $8,854 high to $8,080 low. However, the most important hurdle on the upside is at $8,400 and $8,500, which were supports earlier. Looking at the chart, the price action suggests a lot of bearish signs below $8,500. It may correct a few points in the short term, but it is likely to face sellers on the upside near $8,500. On the downside, a break below the $8,000 support may perhaps push the price further into a bearish zone. Hourly MACD – The MACD for BTC/USD is placed nicely in the bearish zone. Hourly RSI (Relative Strength Index) – The RSI is currently moving higher from the oversold levels.